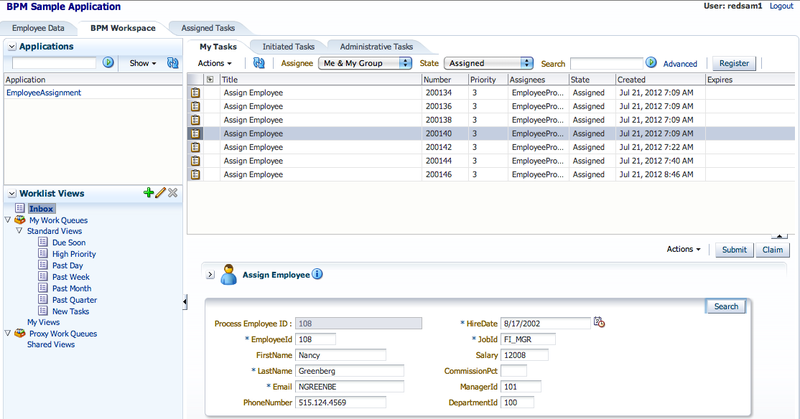 We can customize and include available Oracle BPM Workspace task flows into our own ADF 11g application. 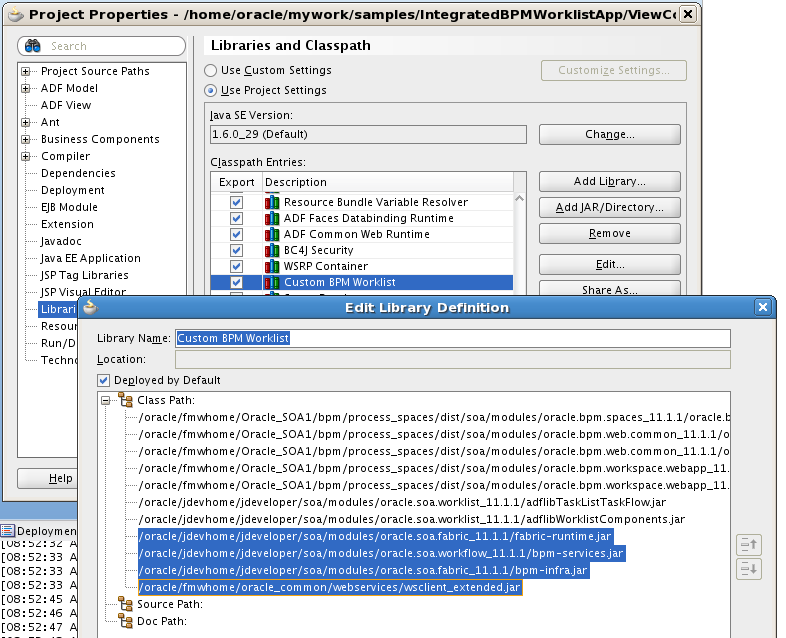 Additionally to out-of-the-box task flows in Oracle BPM 11g, we can use Oracle BPM 11g Worklist API and build custom ADF task flows. 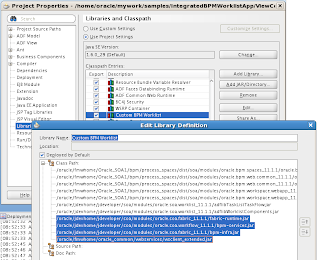 While there can be different requirements and scenarios, in typical case I would suggest to use customized out of the box Oracle BPM 11g provided task flows for core requirements and additionally implement your own custom task flows based on available Worklist API. 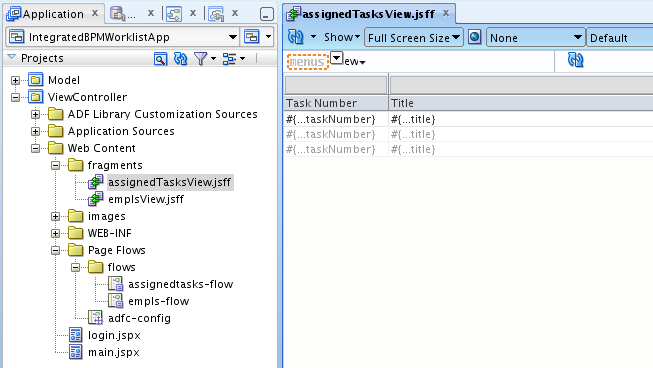 Most likely custom task flows based on Worklist API would cover less functional, but more lightweight requirements. How to test this application ?, where i deploy it ? 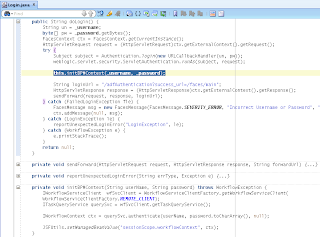 soa_server ? the URL let this message when i try to invoke the application. Easiest way is to deploy to SIA server. 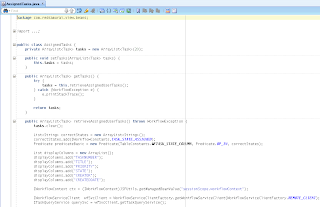 Access using application context root, you can check it from deployment profile or application description in EM. Add faces/main after context root. Now i have this question. 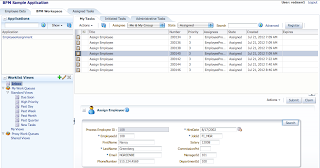 How i configure the Hr Datasource ?. Sorry for my english and for the questions, but i'm not expert on this. 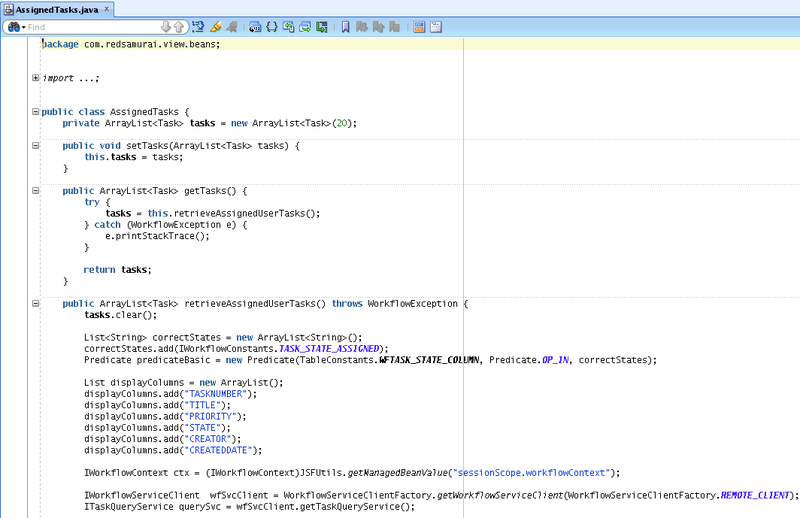 I am a bit stuck at getBPMContext() method. 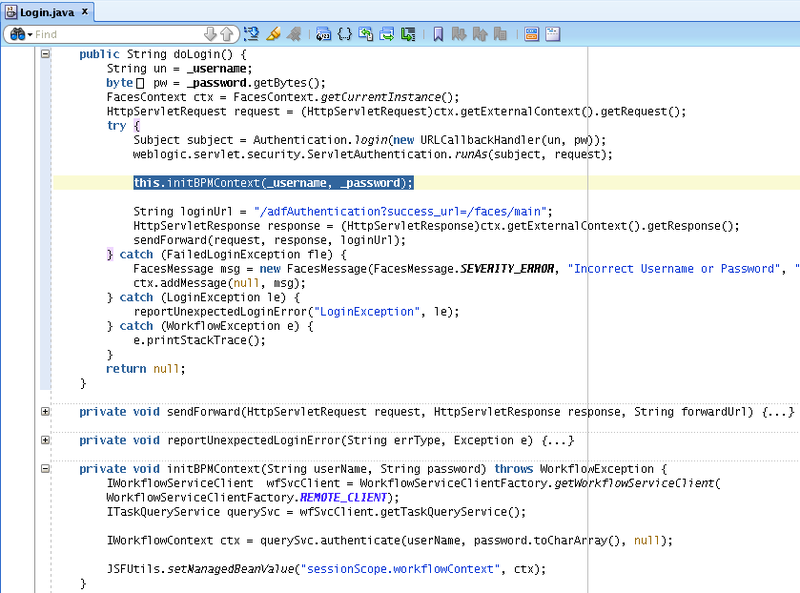 It works with the querySvc.authenticate() API when we give username and password. But our application will be a single sign on, integrated with AD and we will not be even having a login page for the application. 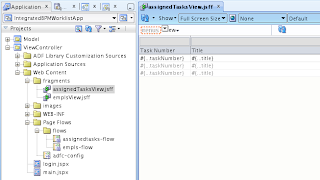 In such case, can you please tell how to get the IWorkflowContext object ? 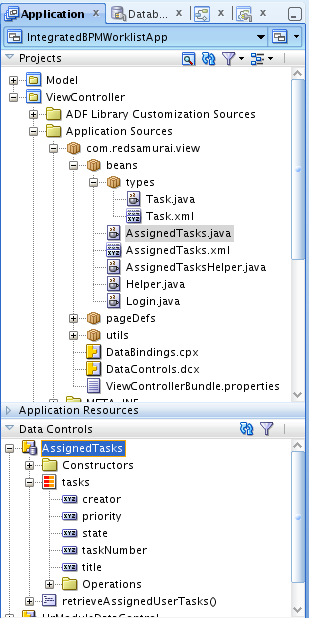 I followed your blog to create a java class, with which i created a data control for the BPM tasks. 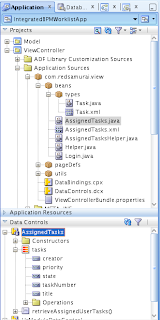 But the task query is not returning any tasks for any users, even though tasks are seen for the users in the BPM worklist app. Do you see any reason for this? Do i need to do anything else for the connection to the BPM worklist app?